My internet went down at home, but I'll always be a geek so I wanted to post my mileage before I forgot it, so I'm posting from a hotel room somewhere in the sprawl of Los Angeles. I just flew in from Juneau this morning. I heard the sun came out there today. I missed it. I made two stops today - a beautiful flyover above the fjords surrounding Sitka; and Seattle, where I had a strange conversation with a man in which it took me at least two minutes to explain to him that I lived in Juneau, not L.A., and I was flying to my vacation, not home from it. Then the plane dropped into the smog and the sprawl. The mountains were just ghosts in the hazy distance, and then it was just flat and buildings as far as I could see. I walked out the door into the warm sun and took off my outermost layer outside for the first time in, I don't know, years. I'm happy to soak it up when I can and I'm thrilled to see my family, but I have to say. Southern California ... I don't get it. Maybe I will in a week. Until then, I'm on the hunt for a bike rental shop. There are at the very least endless roads here to explore, and I can't stand just leaving them there. I just can't. Enjoy your visit, and treat yourself to something you don't have in Juneau, Bob's Big Boy, maybe? 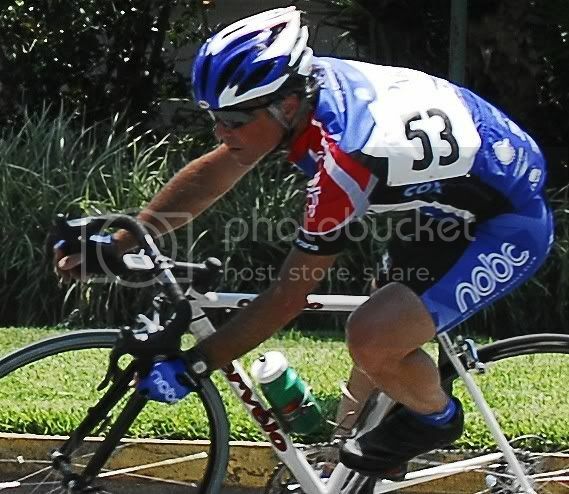 If you're in LA check with the Velo Club LaGrange folks (http://www.lagrange.org/). They can probably find someone who will lend you a bike for a few days. Have fun in Cali, Jill!! Bring the sunshine back...I tried, but it only lasted 3 days! I was going to say what Dave said. He would I imagine like to meet you. Hit up the all-you-can-eat sushi!!! Jill, enjoy the sun and warm for a few days. I have faithfully carried rain gear in my pack all summer and never pulled it out until yesterday and today for some very "Juneau" type weather here in Estes, 45deg with a steady rain. Happily my commute back and forth to work is only about 20 minutes, just enough time for my feet to get real wet and hands to get cold. I can never seem to get the right layers of clothes on under the rain gear, either too hot or too cold. If I had to deal with this on a daily basis like you do I could not be a bike commuter. second on renting at 'The Path' in Tustin. Guys there are great and will hook you up with any kind of bike you can imagine! Thats where I rent from when Im out from Pennsyltucky. Oh, and having been born in Long Beach and having all of my extended family out there...Im with you, I dont get it either. Please don't classify LA as "Southern California". Come down to San Diego first. We have no smog, little flat ground and beautiful coastlines. Just like Anchorage is not "Alaska", LA is not So. Cal. Enjoy your family! I am a born and bred Southern California girl, and wholeheartedly agree that LA is not my idea of beautiful Southern California. :) I hope you get to see some other parts while you're there, and have good family bonding time. If you're out on the East Side... oh, who am I kidding... east of the East Side, come to Stan's Bike Shop in Monrovia. It's less than two miles from some fun trails here in the San Gabriel Mountains. Stan's a card who used to be the milk man to the rich and famous (Elvis, Sinatra, Charlton Heston). He'll bend your ear with stories and hook you up with bikes. Plus: Here in the San Gabriel Valley, things are a little more small town and a lot less "LA." Good luck, and happy riding! "...to laze in the sun and drink cold Pepsi...and probably not touch a bicycle for a full week." I read that in your previous post and thought "As if, Jill". You addict. Too funny. Happy exploring and best wishes for a great holiday...cycling. Welcome to The Angels. Here's a link to some bicycle happenings around town: http://www.cicle.org/cicle_content/pivot/entry.php?id=549 Enjoy your stay and be sure to check out our awesome sunsets.